Such a familiar request! The photo was taken from Library Shenanigans. 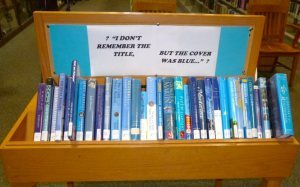 While the research topic is unusual, the librarian seizes the moment and student interest to teach 21st century skills. What's Your Student Learning Objective or Outcome?